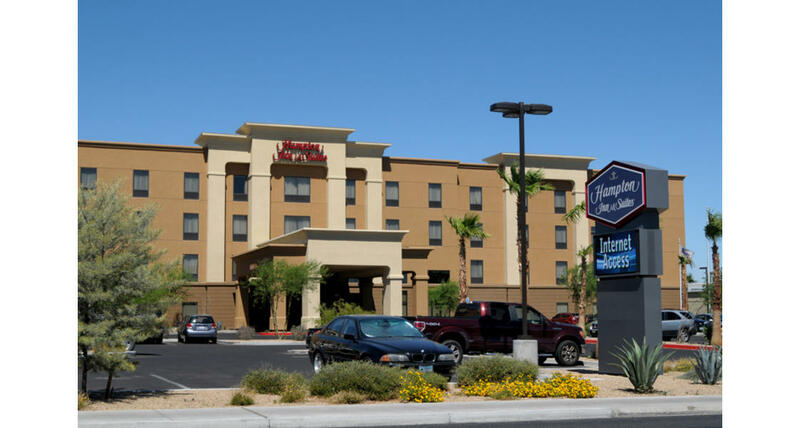 The Hampton Inn & Suites Las Vegas Airport is centrally located to the action and excitement of the "Entertainment Capital of the World." Whether you are a business traveler or vacationer, you'll receive great service and attention from a warm and friendly staff. The hotel offers modern conveniences and amenities in each room as well as property-wide guest privileges. Guest rooms are comfortable and filled with amenities for your convenience. From 32-inch televisions to duvet covers and high speed internet free of charge, you'll feel right at home when you turn in for the night. When you wake up, enjoy complimentary hot breakfast before you head out for your fun filled day in Las Vegas. The 24-hour fitness center is equipped with the latest machines. The onsite swimming pool will give you a reason to say put and relax under the Las Vegas sun. 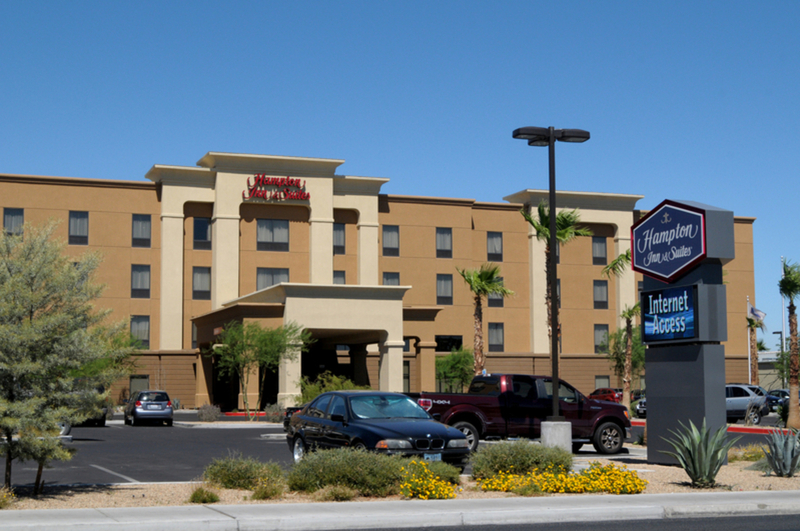 Meeting rooms, laundry facility, and a 24-hour Suite shop are all on location, ready to serve you.